Snowy Trees with Nfu Oh 65. 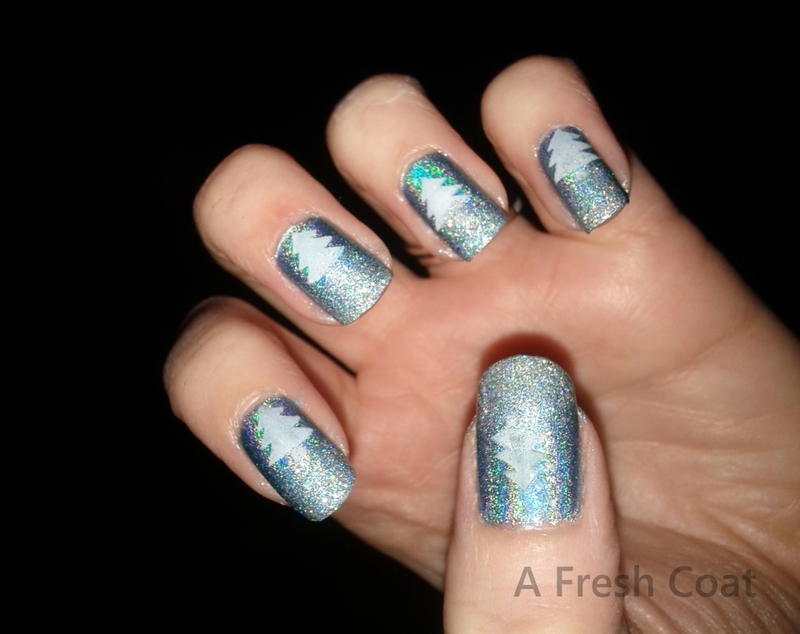 I put some China Glaze – Glistening Snow on the tips to resemble the snowy ground. Then, lightly dabbed it down my nail to resemble the falling snow. Its very hard to see this in the pictures though. Looking for pretty trees in a snow storm. Whoo-hoo Christmas tree hunting!